rapeseed oil | Anyone For Seconds? After coming home with a chicken the other weekend (as you do), neither of us were in the mood to cook a full blown roast dinner, after a long week. Trying to work out what to do with it, we saw a copy of delicious magazine on the coffee table with a huge roasted chicken plastered on the front cover with the tag line “The one-pan roast”. Now that sounded ideal and looked ideal, once we opened it up to the recipe page – not much prep to do but looked great and only took 75 minutes to cook. Result! After spending about 10 to 15 minutes getting it ready and letting the oven heat up, in it went and that was that. I have to say, the smells of the various ingredients cooking away, were lovely and actually made us want to eat it sooner rather than later. 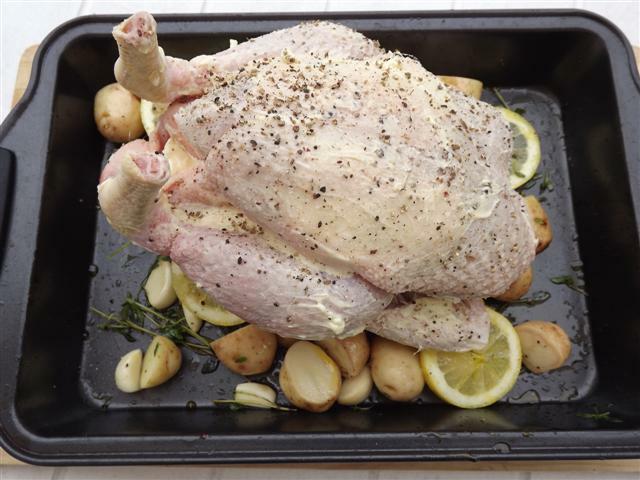 Home cooking starts and ends with a good roast chicken recipe. It’s the food I was brought up on. Every Sunday we had a roast chicken, without fail. The bones were turned into stock and the leftovers would be made into sandwiches for school. And guess what… the leftovers were made for sandwiches, instead for work the following day! If you want a quick win roast dinner without all the fuss, then this is a perfect recipe for you to try. 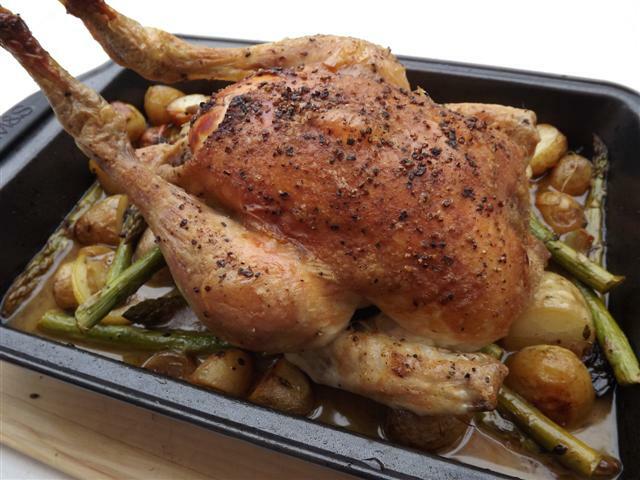 One-tray roast chicken with white wine, zesty potatoes and asparagus. 1. Preheat the oven to 200C/fan 180C/gas 6. Put the new potatoes . 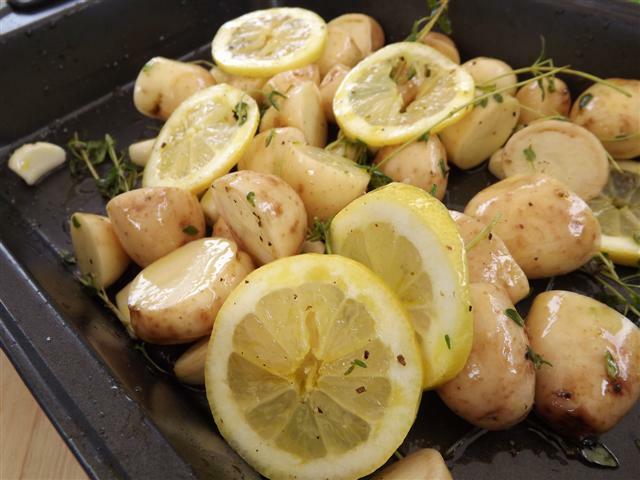 garlic cloves and lemon slices into a large roasting tin. Scatter with the thyme sprigs and drizzle with the oil. Season well and toss to combine. 2. Remove the string trussing the chicken. Gently loosen the skin on the chicken’s breasts to form a pocket, being careful not to tear it. Push a little butter under the skin, then spread more over the outside. Season with salt and pepper. Put the chicken on top of the potatoes, then roast for 45 minutes. 3. 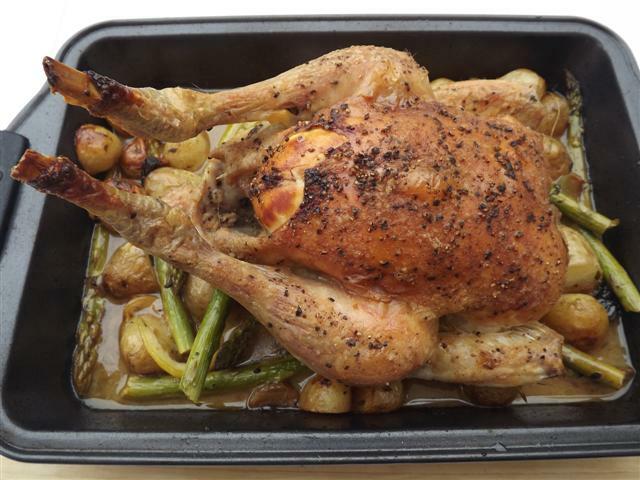 Remove the chicken to a plate, add the asparagus and pour the win into the roasting tin. Mix everything together so the asparagus is coated in the wine and chicken juices. 4. Sit the chicken back on the veg. 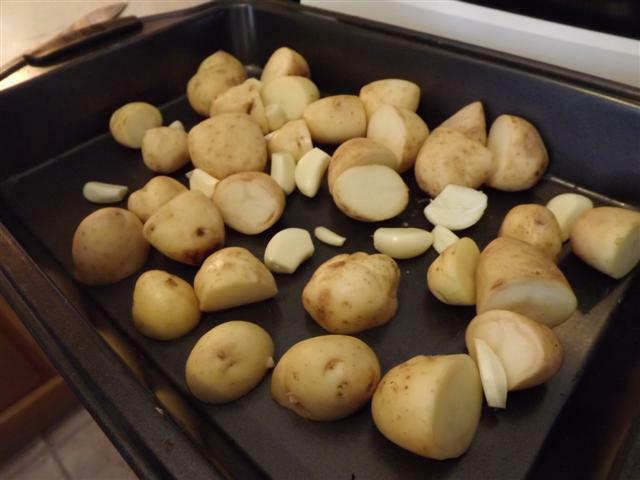 Return to the oven and roast for 30 minutes more, until the chicken is cooked and the potatoes are tender. Rest the chicken and veg somewhere warm for 10 minutes, covered with foil, then stir through the parsley and serve.